These are the Terms and Conditions of use for www.qemsolutions.com (this Site). 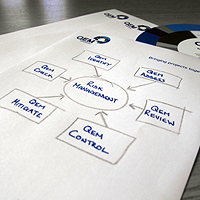 The Site is operated by QEMS Ltd and QEM Solutions (QEM, we, us and our). Your use of the Site will be subject to these Terms and Conditions and by using the Site you agree to be bound by them. QEMS Ltd is a company registered in England under registration number SC241801. The company’s registered address is 1 Telford Mews, Beattock, Scotland DG10 9SG.